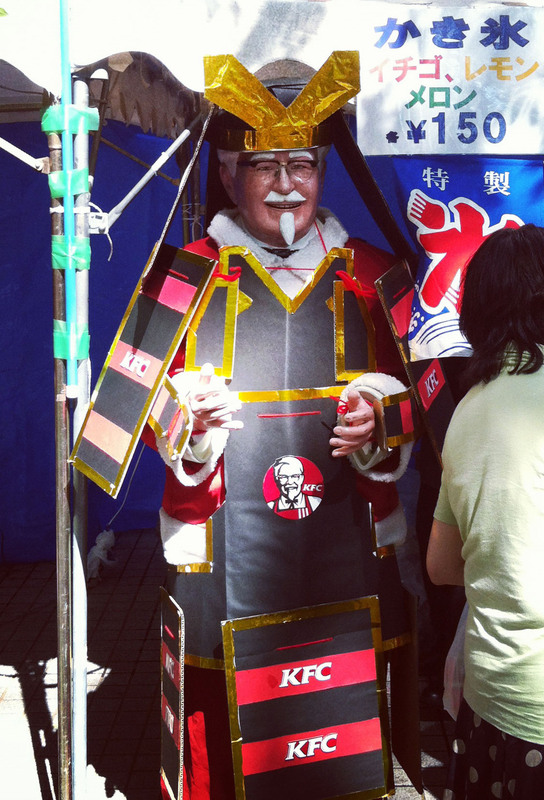 Valiantly planting his Extra-Crispy banner among the fierce townsfolk of Fuchu, Colonel Samurai conquers new territory for his finger-lickin’ fiefdom! Special thanks to my intrepid classmate Kiratipong Ongkasae for snagging this excellent shot at the Kuriyami Matsuri! Does Colonel Samurai make his chickens kill themselves to serve us? Ahahaha! Now THAT made me spench tea all over my phone!